Honey’s got history. Photo via Flickr user Flood G.
People often ask us why we use so much organic honey and beeswax in our products. The answer lies in history, in our ancestors use of honey as an all natural medicine. The use of honey as medicine may be older than medicine itself, or so it is often thought. Its therapeutic uses were documented by ancient cultures in symbols chiseled into clay tablets and paintings brushed onto cavern walls. The earliest written reference to honey as medicine was found chiseled into a Sumerian clay tablet that dates back to circa 2000 BC (that’s 4000 years ago!). Translated, the etchings reveal a medicinal recipe that calls for honey to be mixed with oils and water. According to Stephen Bachmann in his book, Letters from the Hive: An Intimate History of Bees, Honey, and Humankind, other Sumerian writings include recipes for honey mixed with butters or herbs that were used to treat surface wounds and infections. The Egyptians were keen on honey too. Hieroglyphic Egyptian texts dating as far back as 2200 BC reveal the use of honey in standard wound salve recipes made to treat burns and infections. Scholars translated one such recipe and revealed that it called for a mixture of grease, honey, and lint (Zumla 1989). The Egyptians had whole medical texts devoted to herbal remedies. One such, called the Ebers Papyrus, contains 700 formulas, of which 147 call for honey to treat everything from conception to colds to baldness. Egyptians and Sumerians weren’t the only ones to use honey for wounds and other diseases, though. Mayans, Indians, Romans, Greeks, and the Chinese all saw how honey could be used for medicinal purposes. It was often prescribed in mixtures of vinegar and water for colds, indigestion, and insomnia (Zumla 1989). Certainly, our ancestors saw that honey had the power to heal ailments with almost no adverse side effects. So our answer to the question “why do we use honey and beeswax?” is because history tells a long tale of their therapeutic, healing benefits. We learned from our ancestors, and used the knowledge they passed down to us to hand-make all natural skincare solutions that heal and maintain your health. We’ve included 100% organic honey and beeswax in several of our products. Honey is the central ingredient in our Bee My Honey Sugar Scrub, and we combine it with organic sugar; raw, organic, unrefined Shea Butter; and organic oils. 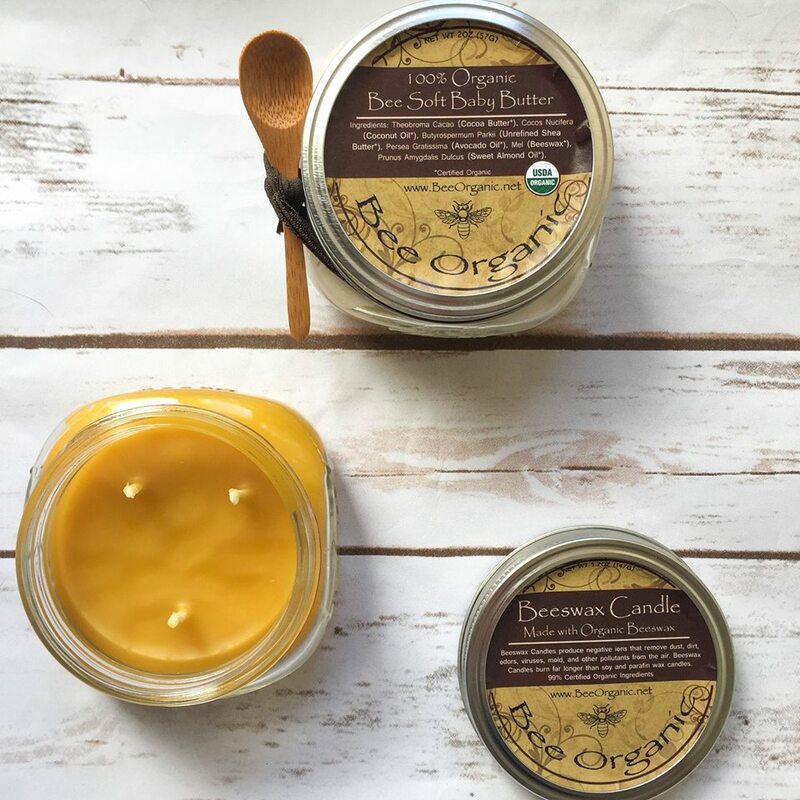 There’s organic beeswax in our Bee Soft Body Butter and of course it’s the only ingredient found in our organic beeswax candles. We learned how to heal with honey so we can pass that knowledge onto you and provide you with the healthiest, most natural products to do so. Zumla, A, and A Lulat. “Honey–a Remedy Rediscovered.” Journal of the Royal Society of Medicine 82.7 (1989): 384–385.